Synology is the leading vendor of network attached storage devices (NAS) for businesses of all sizes. I’ve used Synology products in my own business and have recommended and deployed them for various clients. 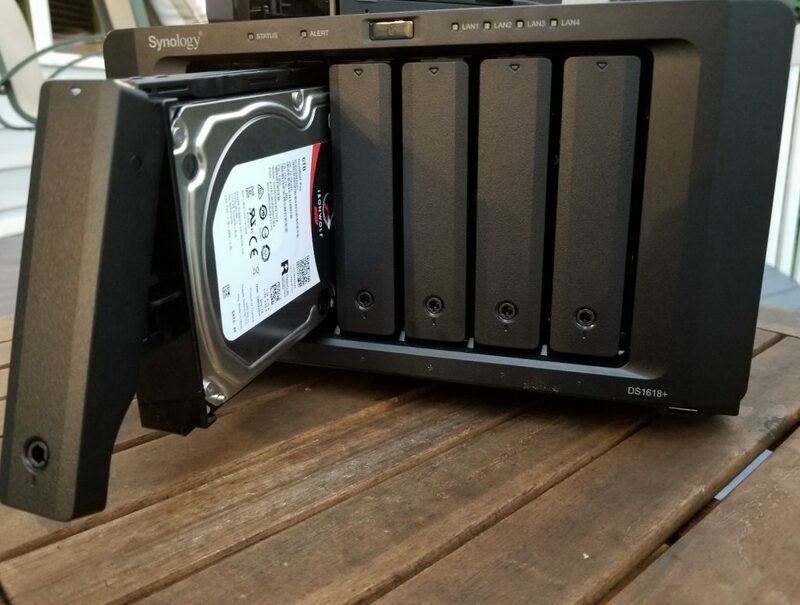 But in the last couple of years, my focus has been elsewhere so I was happy when Justin Vendette offered to share his review with me of a new network attached storage offering, the Synology DS1618+. Justin has many years of experience testing and evaluating various kinds of IT hardware and has done a number of reviews of products from Synology and other vendors on his personal website. What follows are some brief excerpts from Justin’s DS1618+ to whet your appetite. I’ve cast these in the form of a series of questions and answers so you can get the gist of his review quickly. If after reading this you still want more you’ll find a link to where you can find Justin’s full review near the end of this article. And if you have any questions for Justin after reading this article or if you’ve deployed the DS1618+ in your own business environment and want to share some thoughts or feedback, please feel free to use the commenting feature at the bottom of this article. What is the Synology DS1618+? At the top of its class, the all-new Synology DS1618+ NAS is a 6-bay box that contains the raw performance of a rack-mounted NAS by being small and light enough to be held in two hands. There are the six drive bays that the DS1618+ has. Each one can hold either a 3.5mm HDD or 2.5mm SSD. Above each drive cover is a drive usage status indicator. Completely toolless, the drive bays are durable and even have built-in vibration mounts for hard drives. When mounting an SSD inside the bay, you will need to use the included screws. Is there good cooling for the drives? 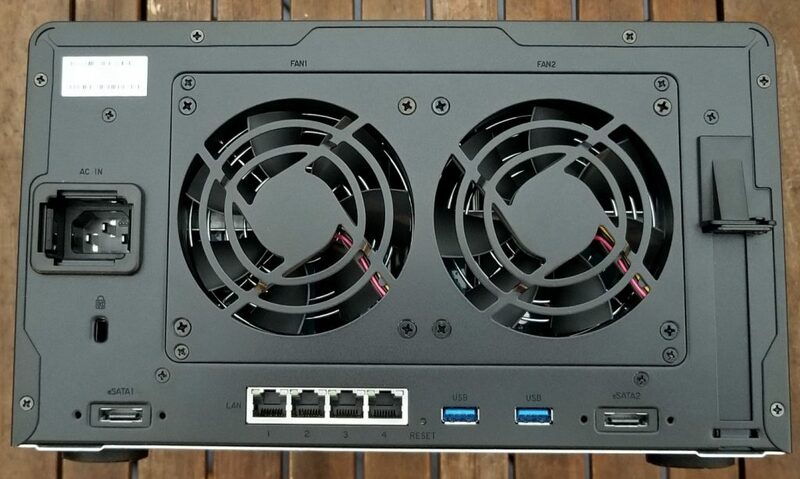 On the rear of the Synology DS1618+ you will find two high airflow 90mm fans that intake air from the front drive bays, as well as from the side Synology-logo vents. Is there anything new under the hood? A new addition to this Synology NAS is the ability to add in a PCIe expansion slot. Users are most likely to install either a 10GbE network card or an M2D17 M.2 SATA SDD card. What kind of operating system does it run? Synology uses a Linux-based operating system that feels and looks just like a Mac desktop. Synology uses a Linux-based operating system that feels and looks just like a Mac desktop. How is the DS1618+ OS different from that for consumer NAS devices from Synology? As this is a business product, the consumer apps such as Photo Station and Music Station have been replaced by ones meant for business use. Are there any security features in the DS1618+? In terms of device malware protection, there is either the Synology security app or administrators can opt for McAfee Security. OK, now we know what it is and what it looks like. What can you actually do with it? The sky truly is the limit for the possible use cases on the Synology DS1618+. It can become your NAS, FTP, web host, mail server, RADIUS server, SQL replication, OAuth, Office, document library, cloud sync, VPN, surveillance system, VMWare cluster, active backup for Microsoft applications, or even replace your business’s IM system. There is so much that it can do, that if I wrote all about each and every feature, I would be here for a week. So, instead, let me discuss how I could see myself using this in my work environment. My use case on the DS1618+ is for it to be the ultimate backup solution. Cloud-based chatting and Office apps are neat, but Microsoft already has those covered for 99 percent of businesses. Backups are where the DS1618+ can really shine. Placed in the server room, loaded on drives, connect a 10GbE high bandwidth networking card and suddenly you’ve got yourself a large NAS that handles desktop backups, server replication, SQL database snapshots, and VMWare storage. This sounds pretty great, but how well does the DS1618+ actually perform? Whether it’s file transfer, surveillance recording, or backups, the rate at which the DS1618+ performs is enough for most business needs. In my own testing the read and write performance of the DS1618+ was superb. Through standard Ethernet, I could write files to the NAS at about 1200MB/s while reading was a touch slower around 600MB/s. Often, my files would transfer quickly and peak at 70MB/s before finishing. One more question but it’s an important one for many of us: How much does this beauty cost? Priced at $799.99 (diskless), it’s available and priced appropriately for all users and businesses. Justin's full review of the DS1618+ can be found here. Be sure also to check out his other product reviews. 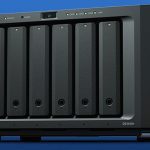 The Synology DiskStation DS1618+ is a high-performance 6-bay NAS that provides storage scalability perfect for tech enthusiasts and small- to medium-sized businesses by effortlessly handling workloads. For a full list of the features of the DS1618+ and detailed technical specifications see the product’s main page here on the Synology website. Nice, I will recommend this to our clients.